With less than three months until the World Cup is underway, Gareth Southgate would ideally want to know the majority of his first XI and squad members. This would give him the opportunity to try tactical variations with the team he will be using in Russia, as well as testing in-form hopefuls amongst his core group of players. But instead, ahead of the upcoming friendly internationals against Holland and Italy, the former Middlesbrough captain finds himself with several key decisions to make regarding his squad selections. Following the disappointing exit from Euro 2016 against Iceland, several key figures have been ousted from the starting XI, giving England a fresher yet more inexperienced look. The 75-cap custodian looks set to be given a peripheral role as a squad member, after his decisive high-profile error allowed Kolbeinn Sigþórsson to eliminate England from France, along with failing to secure the number one shirt for West Ham. Jack Butland (6 caps), Jordan Pickford (1 cap), and Nick Pope (0 caps) are all still vying for the number one jersey ahead of the World Cup in Russia. The centre-back partnership had amassed 89 caps between them. The United defender has put his injury plagued 2016-17 campaign behind him to re-establish himself as a pillar in Jose Mourinho’s backline, whilst Cahill has found himself behind Antonio Rudiger in Antonio Conte’s recent team selections. Southgate has utilised three central defenders in recent outings with John Stones (22 caps) and Harry Maguire (3 caps) playing every minute of the last three internationals. Call-ups for two uncapped centre-backs – James Tarkowski (Burnley), Alfie Mawson (Swansea) – intimates that Southgate is still undecided about which complement of defenders to select for the summer. Rooney, England’s most capped outfield player (119) and all-time leading goal-scorer (53), had decided to call it a day, even if at 32-years-old the veteran maestro could still play an important role supporting the inexperienced next generation. Sturridge’s recent loan move to West Brom went largely unnoticed, as the talented striker looks to reignite his career which had stalled under Jürgen Klopp’s tactical set-up. Harry Kane’s evolution into one of the premier centre-forwards in world football gives England a platform to build around. His recent ankle-injury could provide the talismanic forward with a useful break, as long as he fully recovers from what could be a problematic injury. The youthful attacking talent of Marcus Rashford, Raheem Sterling, Dele Ali, and Jesse Lingard, gives the Three Lions some of the best offensive options they have had in the past 30-years. However, a maiden call-up for Bournemouth midfielder Lewis Cook, and the recent selections of Harry Winks, Jack Cork, Ruben Loftus-Cheek, and Jake Livermore suggest that the England chief is still looking for some emerging talent to help the balance of his team. After failing to qualify for the last two major tournaments, the Oranje have appointed the former Everton coach and Dutch legend Ronald Koeman to take the helm. His first appearance against England could prove to be a tough encounter, even if they face an experimental team. Just eight years ago, Holland pushed the eventual winners Spain all the way in a dramatic World Cup final in South Africa. Four years later, only a penalty shoot-out against Argentina in the semi-final curtailed their progress in Brazil, where they went on to defeat the hosts 3-0 to finish third place. The retirements of cornerstone talents, Wesley Sneijder and Arjen Robben, leaves the current Dutch outfit short of genuine top level talent. The international door is still ajar for Robin van Persie if he can prove his fitness, but he has not been selected in Koeman’s debut squad. 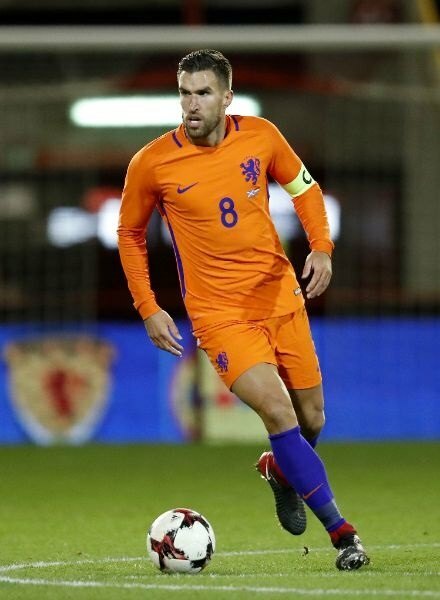 The Flying Dutchmen will instead build around their midfield captain Kevin Strootman and Liverpool’s £75m defender Virgil van Dijk. England have lost three times and drawn on four occasions in their past seven fixtures against Holland, with their last victory arriving in the group stages of Euro 96. Gareth Southgate played that day, and so did Patrick Kluivert, whose 18-year-old son finds himself in contention for an international debut. Former president Carlo Tavecchio and coach Gian Piero Ventura led the Azzurri to a ‘football apocalypse’ after failing to qualify for the World Cup for the first time in 60 years. Italy’s failure to qualify with Spain in their group was acceptable, but their performances against La Roja were not. Furthermore, 180 minutes against a Zlatan-less Sweden team should have been manageable for a country with the resources that Italy has. Ventura tripped himself up with baffling choices that limited Italy’s most creative player – Lorenzo Insigne – to just a few minutes in the first leg, and out of his regular position. Ciro Immobile is in the form of his life with 34 goals in 38 games in all competitions, but has never looked capable of delivering for his country with just seven goals in 30 appearances. The Italian U21 coach Luigi Di Biagio has stepped up to take temporary charge of Italy, whilst the federation hopes to woo Carlo Ancelotti or Antonio Conte for the role in the summer. Di Biagio’s first squad saw the promotion of Azzurrini talents Federico Chiesa and Patrick Cutrone, although he left Mario Balotelli (22 goals in 30 games) at home for the miss-firing Andrea Belotti (9 goals in 25 games). England are set to debut their newly released Home Kit in the coming friendlies. For more information click here to see how Southgate’s me will be kitted out in Russia.